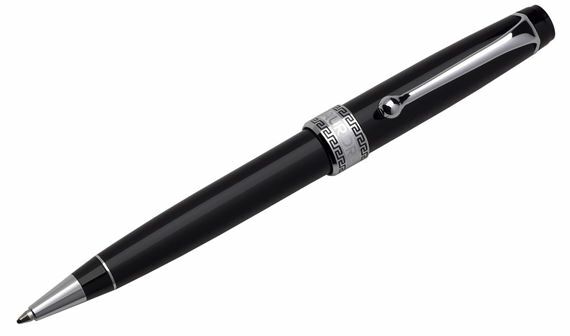 Order your Aurora Optima Ballpoint Pen Black With Chrome Plated Trim today from FahrneysPens.com. Fine Pens, Refills & Luxurious Gifts – great prices & fast shipping. Aurora's Optima writing instruments are refined and appealing a superb rendition of a model popular in the 1930s. The Auroloide barrels (a material much like celluloid) have been updated in new sleek, solid Black with polished chrome accents. The Optima ball pen has a smooth, twist mechanism. Pair it with the matching fountain pen or rollerball to provoke admiring glances wherever you go!